An ideal opportunity has come up for a qualified physio to work in a modern, up to date practice in the heart of the Canterbury Plains. If you are looking for a change and to move to a position that comes with a great lifestyle, you are looking in the right place. PhysioSteps is a private practice physiotherapy clinic focusing on returning patients to full function and keeping them there through effective manual therapy and exercise prescription. We are located in Ashburton, right in the middle of the Canterbury Plains – offering a great lifestyle and a chance at a great career and leadership positions. 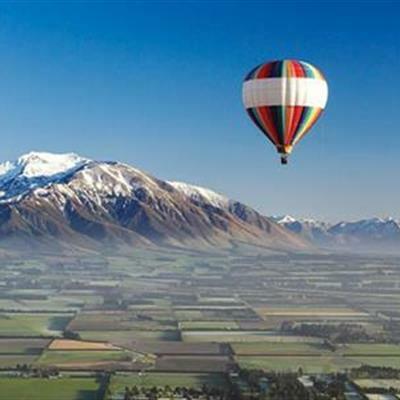 Mid Canterbury is a great base to live, located in the central south island, you are within an hours drive to Christchurch for shopping, Mt Hutt for great Skiing, Rivers, and lakes for fishing and watersports and much, much more. It is an outdoors paradise. The PhysioSteps clinic is a professional, clean and friendly environment with full-time admin staff, electronic notes and we are accredited! Our practice owners lead from the front in following our motto of treating the person, and not just the injury. We pride ourselves on providing excellent service and getting great long-term outcomes for our patients and the community. Along with this, we are passionate about maintaining a friendly, enthusiastic and tight-knit team. At PhysioSteps we also strongly encourage continued professional development as there is always more to learn and it is very important to keep up with the ever-changing evidence-based practice. PhysioSteps is a culture, not just a practice or a job and we take a real interest in our patients and provide them with active rehab and never treat passively.